I have found two videos from the Isao Takahata memorial service at Ghibli Museum. The first includes the complete remarks from Hayao Miyazaki. 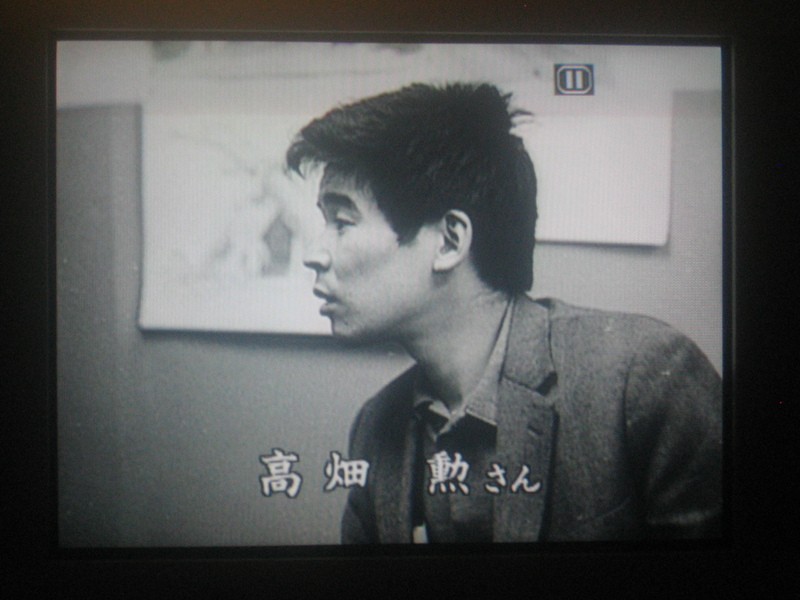 The second video is a news report from Japanese television, featuring clips of other individuals. Unfortunately, there are no English translations available at this time. If anyone would kindly provide a translation of Miyazaki-san's remarks, we would all be very grateful. Update 5/16: The first video has been pulled from YouTube. Hayao Miyazaki's complete remarks in Japanese are available below. We still need help with an English translation. Much thanks to Infoglitz and Becqerine from Reddit for their assistance. 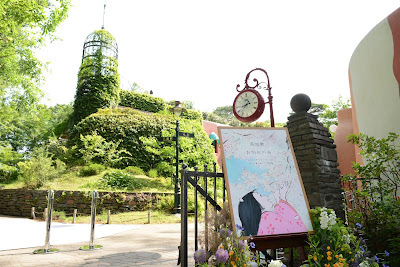 The following photos are from the memorial service honoring the late Isao Takahata at the Ghibli Museum on May 15. The event was attended by 1,200 people including many prominent filmmakers, producers and actors, as well as family and friends. Thanks to Huffington Post Japan for posting these photographs online. Today, friends, family and colleagues paid tribute to Studio Ghibli co-founder Isao Takahata at a public memorial service at the Ghibli Museum in Mitaka, Japan. The event was open to the public and featured many prominent artists and filmmakers whose lives intersected with the beloved director over the past 60 years. 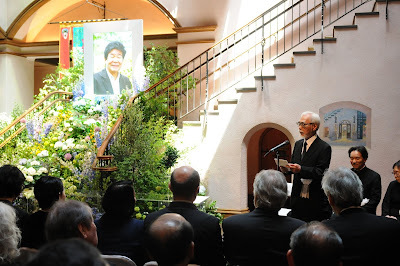 The museum displayed a wonderful floral display in the main hall, and also included a large montage of photographs featuring Paku-san over the years, as well as a collection of his many published books. 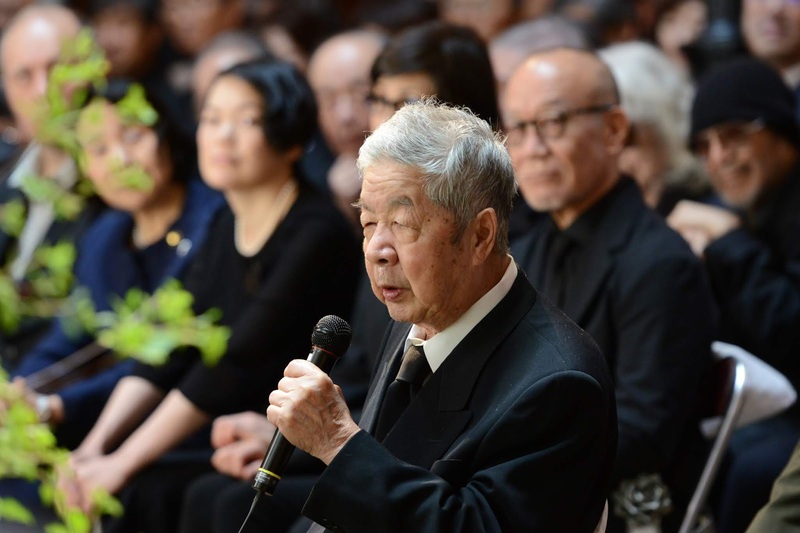 Animators and filmmakers in attendance included many alumni from Toei Doga, where Takahata began his career in 1958 after graduating from Tokyo University (he was courted by the movie studio while still a student. 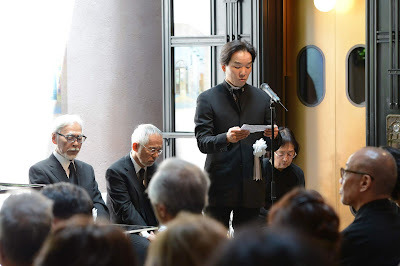 Yasuo Otsuka and Yoichi Kotabe were present along with the rest of the old gang. 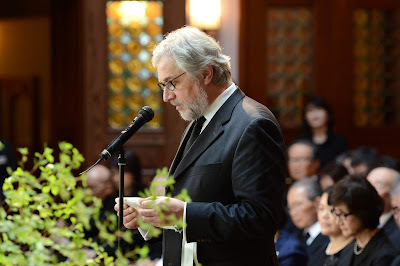 Dutch animator Michael Dudok De Wit, director of the 2016 Academy Award-nominated animated feature The Red Turtle (produced by Studio Ghibli under the personal supervision of Takahata) was also in attendance. Yoshiaki Nishimura, the Ghibli alumni who founded Studio Ponoc, was also present, as was Joe Hisaishi, the music composer whose movie break came in Nausicaa of the Valley of Wind. Fifty journalists and 1,200 attendees were present to record the event and pay tribute to a legendary and beloved icon. 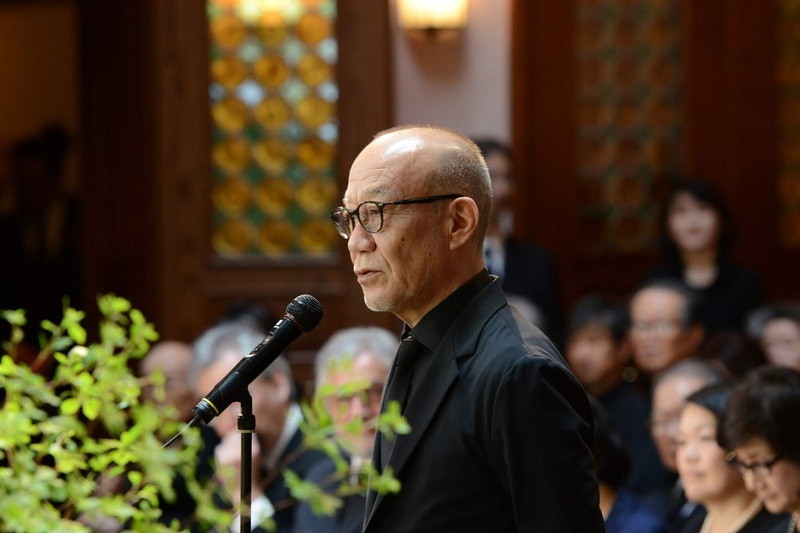 Many prominent friends and family paid tribute with spoken eulogies during the service. The most important speaker at the event, of course, was Hayao Miyazaki, who forged a friendship and career with Takahata. 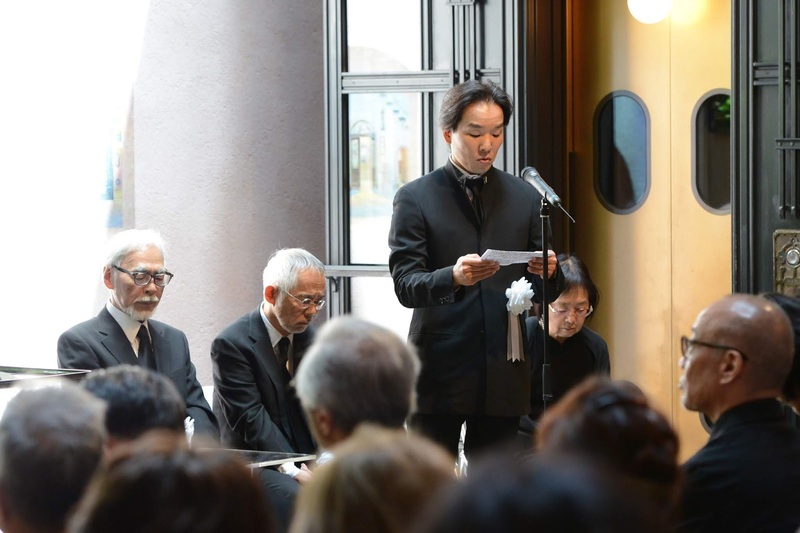 Reading from a written text, Miyazaki-san delivered a moving eulogy to his brother, visibly grieving and emotionally shaken, and occasionally fighting back tears. Toshio Suzuki, Ghibli co-founder and Miyazaki's most loyal friend, sat by his side support, likewise overcome by emotion. 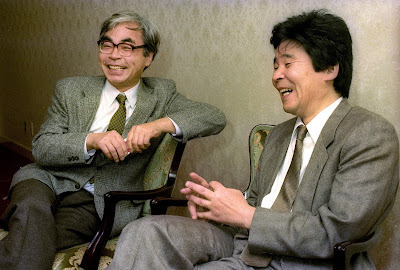 Speaking of his friend, Miyazaki remarked, "I always thought that Takahata was going to live until he was 95 years old and when he died, I was very impressed, because I realized that I also have little time left." 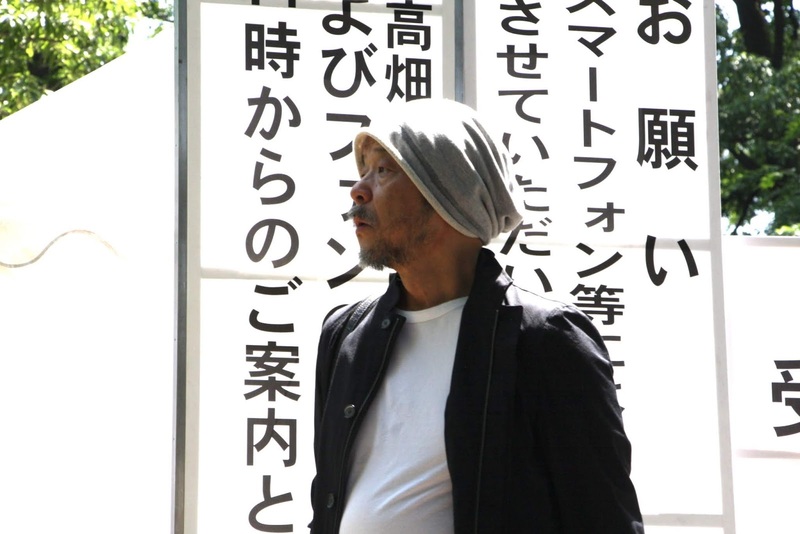 He spoke of their longtime friendship during long pauses, "I met Paku-san in 1963 while he was waiting for the bus. He was 27 years old and I was just 22. I thought he was a very interesting and intelligent person. I remember it as if it were yesterday." Miyazaki concluded his statements by saying, "I will never forget the day when Paku-san approached the bus stop and we met. He will be with me all my life." Much thanks to Generacion Ghibli and 20 Minutos for their reporting and providing translated excerpts from Hayao Miyazaki's eulogy. I had completely forgotten that we had passed our Ghibli Blog birthday on March. I kept thinking it was May. Whoops. In any case, here's a cake. Yay! 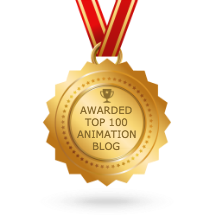 Ghibli Blog (Conversations on Ghibli) was started on March 2006 and aside from the occasional hiatus has continued ever since. 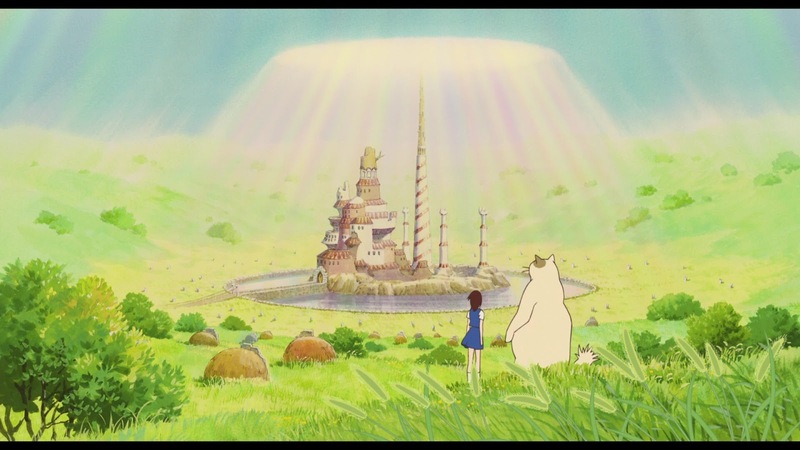 I am still nowhere near my original goal of writing everything there is to know about the Studio Ghibli movies, which is a very pleasant surprise, but I am getting closer than ever. Meanwhile, the enormous pile of essays and possible directions for my never-ending Ghibli book project just grows higher and higher. I just tell myself to continue writing about all of these great films and television series until all the essentials are covered. 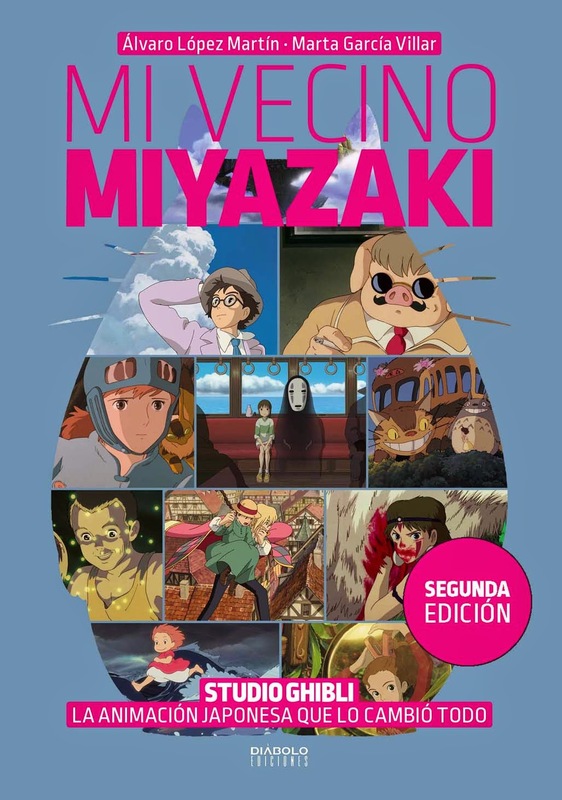 Maybe I should write a book like Mi Vecino Miyazaki, which is really solid and looks terrific. Or maybe write a couple volumes of written essays. Or maybe just dump the blog onto print in a massive encyclopedia stack. Or maybe I should just do something simple and with lots of pictures. Oy vey. 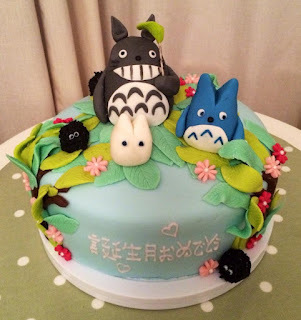 In any case, much thanks to everyone for sticking by Ghibli Blog all these years, and thanks to the new fans and followers, especially everyone who has subscribed to the mailing list, purchased or downloaded my books. This scene in Porco Rosso shows Marco's true face for a quick moment. Teenage Fio is shocked at the sight, but when he realizes he is being watched, Porco's pig face returns. It's a great moment that gets at the heart of the hero's identity and the movie's themes of being bound to the past and the romance of nostalgia. Western audiences can never understand why Porco Rosso has a pig's head, and this insistence on literal "realism" in animation is slightly depressing. Nothing about this medium is real. You are looking at pencil drawings and paintings, not actors on a soundstage. You are looking at something that is itself a product of the imagination, and that fact carries a certain surrealism and symbolism in its very bones. 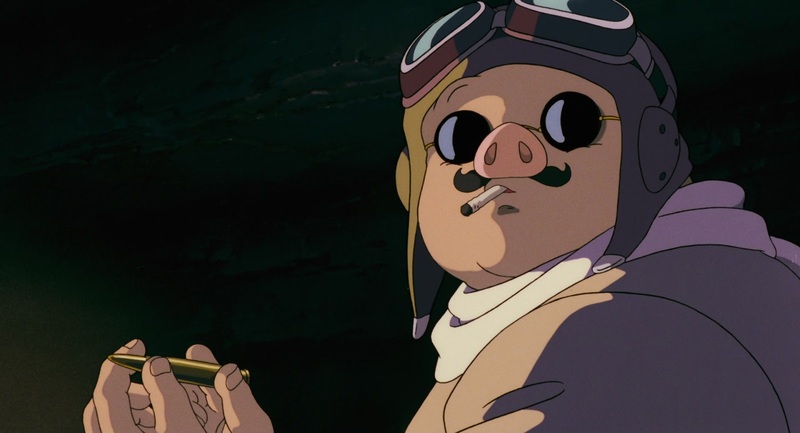 Miyazaki portrays Marco as a pig because it represents his disgust with humanity as a result of his experiences fighting the Great War. 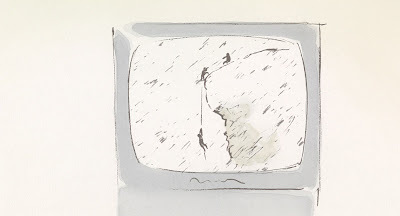 He feels disconnected from the outside world, not only those who never had to fight, but those who allowed the war to happen. The war robbed him of his best friend who had just married his true love, and out of loyalty he has stood aside all these years. He has lost his friendships and his very future, and has accepted this as his personal cross to bear, a survival's guilt that manifests in the curse of the pig face. Much like Howl's Moving Castle, this movie shows us the psychological costs of war and what it does to those who fight. Howl the wizard was slowly turned into a monster that overcame his humanity and identity, leaving him an inanimate creature by the very end. Marco/Porco is likewise split between two identities and has lost his true sense of self. It is only by making a new friendship with Fio that he begins to reclaim his humanity once more. Marco is deep in his work on the beach, and so he lowers his guard, lowering the mask that he shows to the outside world. We see his true face, or at least the romantic ideal of how he would look, as an older version of the young boy who fought the war. Perhaps he is meditating on that conflict and his vow to kill his rival, Curtis. Porco Rosso has famously vowed never to take another life (a fact that is revealed later), but now he seems prepared to cross that line. 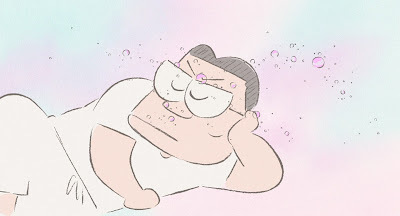 But then Fio moves and he is quickly snapped out of his meditative state. Porco is back in character. The image of Marco also serves as foreshadowing to his story of the great air battle, in which so many pilots were killed, including his childhood friend. It also anticipates the coming battle, which is expected to be a fight to the death. We know why Curtis is fighting. He's fighting to take Porco's place, not only in the skies but at Gina's side. But why is Porco fighting? Is it pure cynicism and detachment, or merely revenge? Is he fighting to hold onto Gina, who he loves yet also keeps at arm's length? Should he still be duty-bound to a friend long deceased? Should he run away with Fio instead? Should he still cling to his own myth and identity? And what if clinging onto that mythical identity costs him everything else? Who will you become once you can no longer be yourself? All things must pass. This is the major emotional thrust of this movie. This is the lesson that Porco must learn in order to survive, and this shot and scene is where all those threads come together. The climax isn't really the air battle, which ends in a comical cartoon farce. Miyazaki isn't interested in machismo or settling scores. He will instead take the air out of the tires and turn the external conflict into one big joke. It's the internal conflict that matters. There the real war will be lost or won. Studio Ghibli gives itself a rare cameo in Hayao Miyazaki's Porco Rosso, as seen here on the airplane engine. 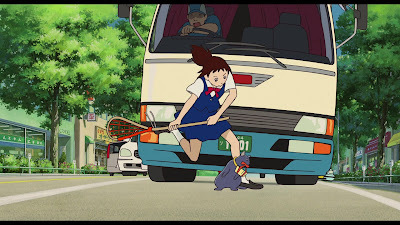 We also see the name "Ghibli" on a passing bus in Kiki's Delivery Service in a quick shot. And didn't Mimi/Whisper also have the studio's name etched onto a grandfather clock? This was definitely a recurring thing for a time, but why it was begun and later abandoned is anybody's guess. They just did it for fun, I suppose. 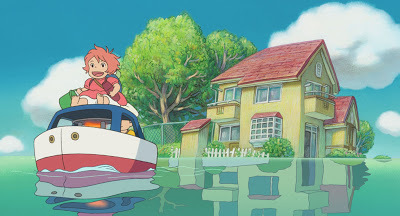 Ghibli Fest 2018, the annual Studio Ghibli movie festival presented by GKIDS and Fathom Events, continues its series of theatrical screenings with Porco Rosso, Hayao Miyazaki's 1992 animated adventure. The movie will be shown on May 20 (dubbed), May 21 (subtitled) and May 23 (dubbed). 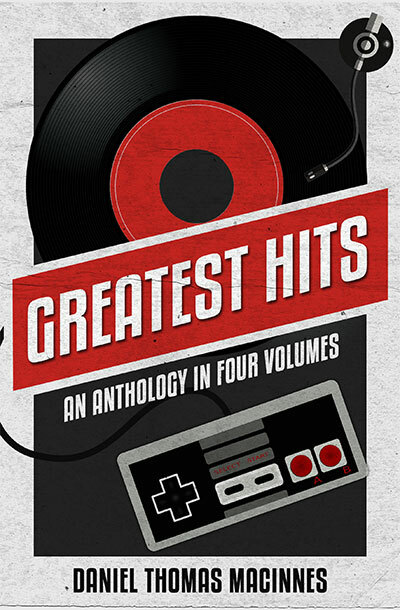 As always, both Japanese and English language soundtracks will be available for the benefit of all fans. Porco Rosso is a nostalgic romance in the style of classic Hollywood cinema. If you're a fan of Humphrey Bogart, then you'll love this picture. It tells the tale of daring airline pilots and pirates who fly the seas of the Adriatic in the days before the rise of fascism and war, and focuses on a cynical pilot named Marco who has turned his back on humanity, a hotel owner named Gina who is Marco's lifelong friend and love interest, and a young airplane engineer named Fio. Thrown into this mix is a brash American pilot named Curtis who sees himself as Marco/Porco's rival in the skies and in love, and who always reminds me of Errol Flynn. 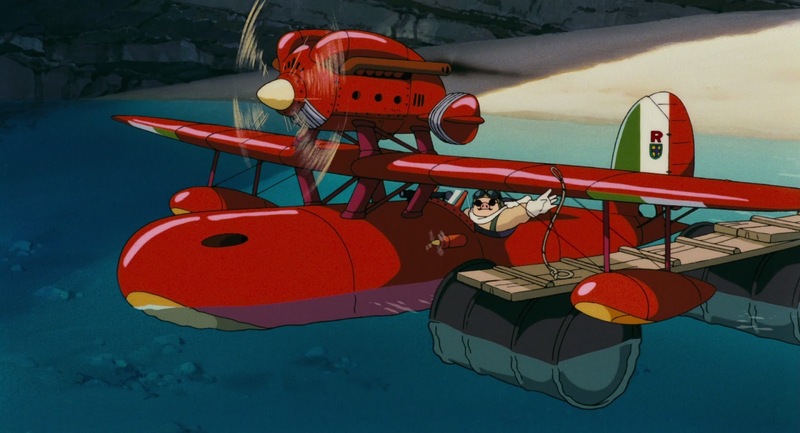 There are thrilling action scenes of airplane pilots and their amazing machines, including an exciting escape through the canals of a major city and a climactic air battle between the two rivals, but Porco Rosso is not an adventure movie. Instead, it is a thoughtful story of longing and loss, about nostalgia and the fading away of a golden age. It is more adult in its themes, yet retains the classic romanticism that we find in Miyazaki's stories. And, as always, there are many very funny moments that you will remember long after the lights come back on. I'm a great fan of Porco Rosso. 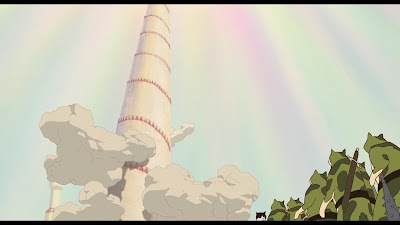 It feels like a definitive example of Studio Ghibli for me, in that it demonstrates the unique talents and abilities of its filmmakers. No other movie studio in the world could make a movie quite like this. 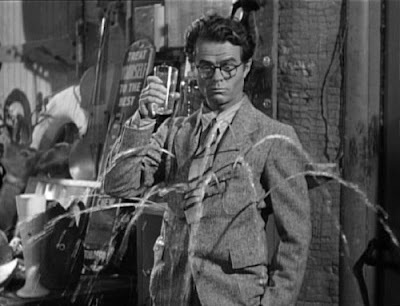 It's heart lies in old Hollywood serials and post-war European cinema, and its pacing is far more relaxed and thoughtful than animated features in America, which more closely resemble roller coaster rides. 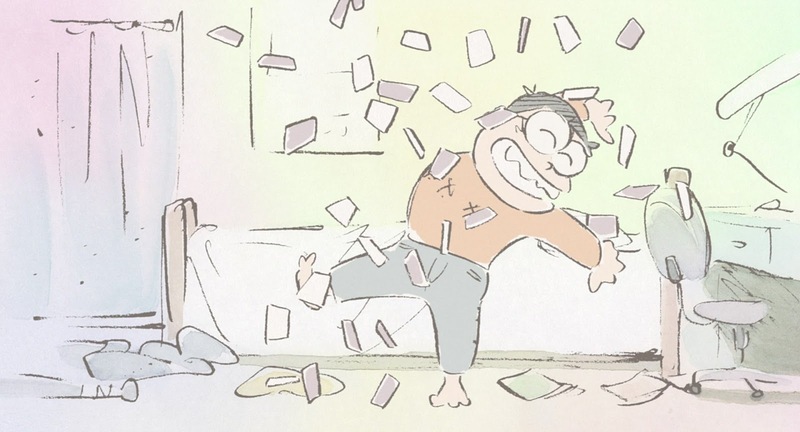 Hayao Miyazaki is not interested in assaulting you with noise and tired story cliches. He aspires to something better, more grand and epic. Miyazaki has always been sold in the West as the "Walt Disney of Japan," but this has never been true. A much more accurate comparison would be Steven Spielberg, whose movies are deeply nostalgic for classic Hollywood romantic adventures that are also tempered with a modern seriousness and sorrow. Porco Rosso is probably the most "Spielberg" movie Miyazaki has ever made. If you go in with that mindset, you'll have a terrific time. The Japanese audio soundtrack is superb, featuring 60-year-old actor Shuichiro Moriyama as Marco/Porco and spoken in a gravel-like, world-weary voice. Here is a man who has survived war and remains haunted by the experience, and he is absolutely magnificent. The US English-language soundtrack created by Disney features Michael Keaton in the lead, and he also does an excellent job. He understands that he's really playing Bogey and he plays the part. I'm reminded of his role as the antagonist in Spider-Man Homecoming. Beyond that, I didn't care for the Disney dub, which made a number of casting mistakes (Cary Elwes plays Curtis, but he's using a bizarre cartoonish Kentucky accent when what you really want is his Errol Flynn impression, which is why you hired him in the first place). Worse, the script writers completely threw away the emotional climax of the movie, an absolutely criminal act that highlights the condescending nature of American animation; after all, cartoons only exist to keep toddlers quiet and docile, and are not considered "real" movies. For my money, the real hidden gem is the French language soundtrack, which was commissioned for Porco Rosso's release in France and features veteran actor Jean Reno in the lead. He delivers the proper gravitas and weariness, but also elevates the role with a European nobility and stoicism. The entire French cast is equally superb, weighty and grown up and full of experience. Hayao Miyazaki is said to have preferred this soundtrack as the definitive take of this movie, and there are many times where I must agree. 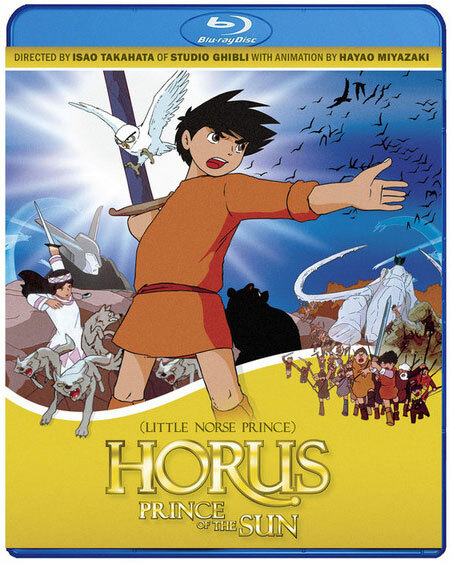 I do wish GKIDS would have included this version as well, but this dub is thankfully included on the home video releases. However you enjoy Porco Rosso, be sure to see it on the big screen. 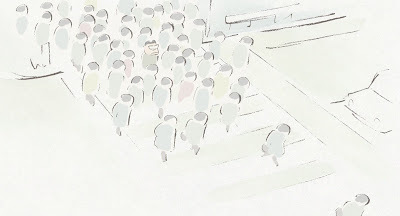 Studio Ghibli movies work their magic most effectively in a dark theater with a room full of strangers. Go grab your tickets now before they sell out. This week, Studio Ghibli announced the details for their upcoming Farewell Ceremony for founding director Isao Takahata, who passed away on April 5 after a battle with lung cancer. The event will be open to the public and will take place on May 15 at the Ghibli Museum in Mitaka, Japan. The event will run from 2:00 pm to 5:00 pm and celebrate the amazing life and career of the animation legend, from his starting days at Toei Doga to his acclaimed masterpieces at Studio Ghibli. Hayao Miyazaki will attend the event and issue a public tribute to his lifelong friend and brother. 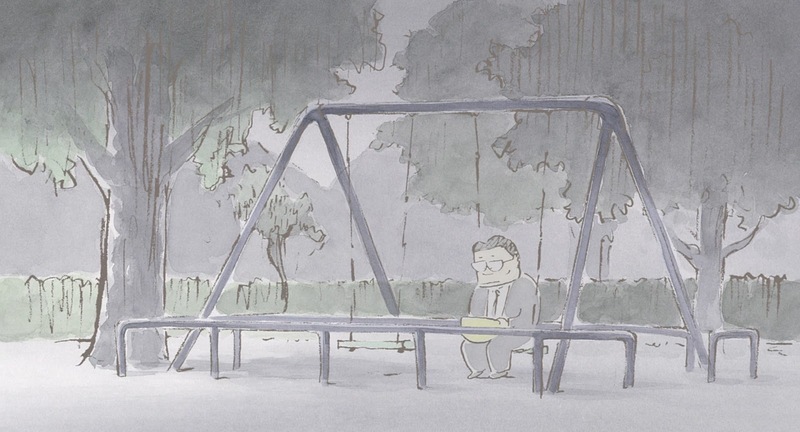 This will be the first public statement made by Miyazaki since Takahata's death. 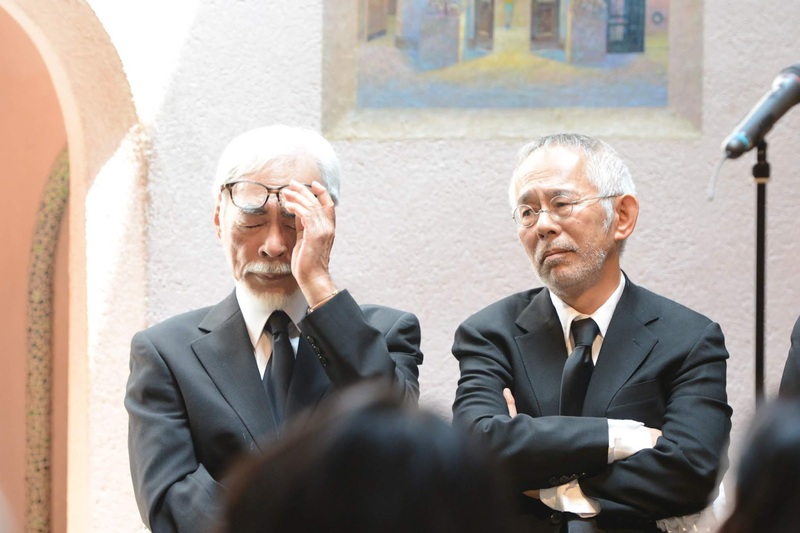 News outlets have reported that the Ghibli co-founder is shattered by the loss. The two began their careers together over 50 years ago, and as partners created many classic films and television series, including Horus, Prince of the Sun, Lupin the 3rd, Heidi, Girl of the Alps, 3000 Leagues in Search of Mother, Anne of Green Gables, Future Boy Conan and Nausicaa of the Valley of Wind. 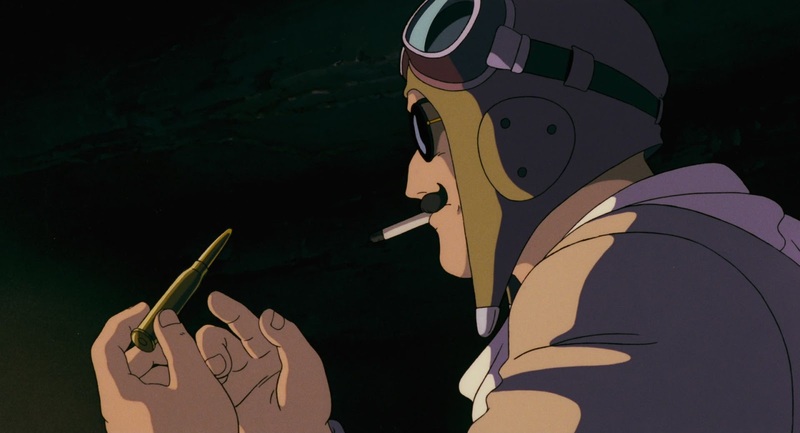 The commercial and critical success of Nausicaa in 1984 directly led to the founding of Studio Ghbli one year later, where the two directors would create such classics as My Neighbor Totoro, Grave of the Fireflies, Spirited Away, Ponyo, My Neighbors the Yamadas and The Tale of the Princess Kaguya. 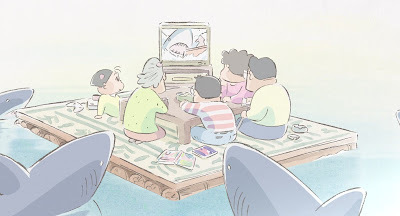 Studio Ghibli's official statement on May 1 did not specify whether television cameras would be present, or if the ceremony would be broadcast by television network NHK, which has had a long relationship with Miyazaki and Takahata going back 40 years. Personally, I would hope that the event would be broadcast, just so the rest of the world could watch in a global simulcast. Hopefully, we will have an opportunity to join along on May 15 or at a future date. Thanks to Generacion Ghibli for sharing the news on their Twitter page and translating the text into Espanol, which helped tremendously. Be sure to bookmark that site and Twitter page if you haven't yet done so. 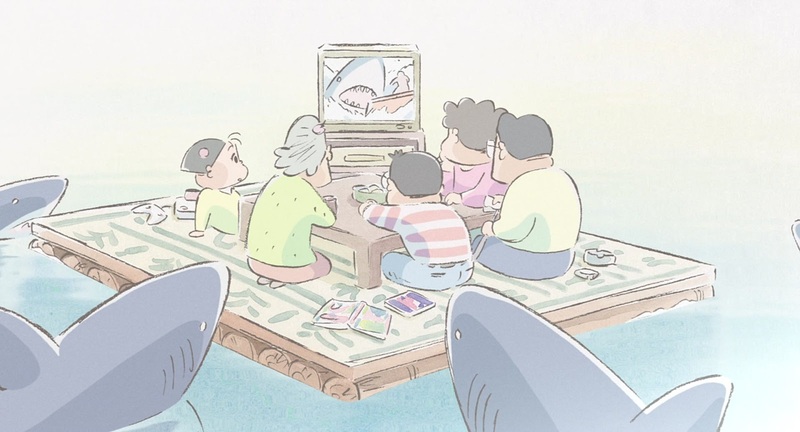 Your local Ghibli fan club should also schedule a memorial event for Paku-san on May 15. Make it a movie marathon. If it were up to me, I would rent out a theater and show an earlier feature film like Gauche the Cellist, maybe show the first episode of Heidi, Marco and Anne, and then close out with one of Takahata's Ghibli features like Princess Kaguya, which would be perfectly fitting. 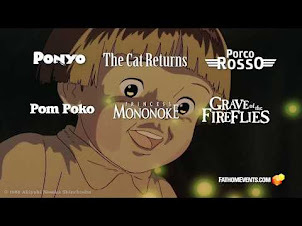 And, no, I still do not have the stomach to sit through Grave of the Fireflies. YouTube essayist and documentary filmmaker Steven McCarthy returns once again with another look at Studio Ghibli, this time examining the career of Goro Miyazaki, the son of founding director Hayao Miyazaki who was responsible for Tales From Earthsea, From Up on Poppy Hill and Ronja the Robber's Daughter. This video goes into detail on these films, including production, overarching themes and public reception. Goro Miyazaki doesn't get enough love from the fans. Part of that is due to the family name and the curse of having a famous father (ask Julian Lennon), and part of that is simply experience, as we have so few works to examine and study. 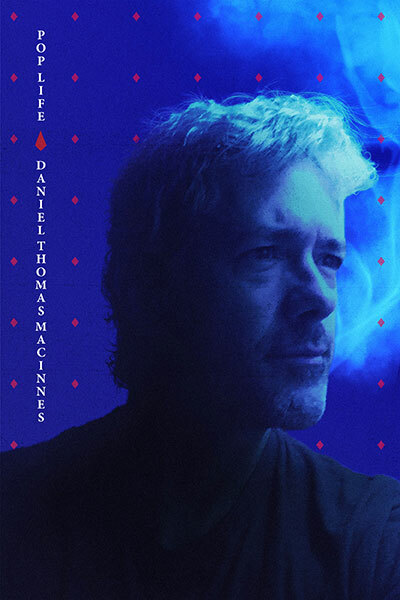 If he continues to create animated films and television series and develop his own unique voice as an artist, those qualities will begin to dominate the conversation. McCarthy does an excellent job moving that discussion forward, highlighting his strengths and weaknesses, his difficult relationship with his father, and the qualities that make Goro his own man. 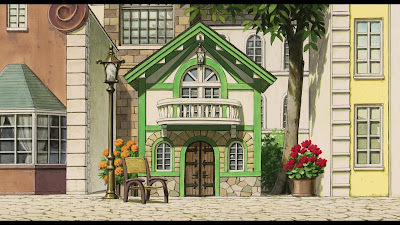 He may yet define the next generation of Studio Ghibli, bringing it into the modern era of 3D computer graphics animation while retaining the qualities of the hand-drawn tradition. Once again, great video and great work. McCarthy promises this will be his final Ghibli documentary for a while, as he pursues other topics. I look forward to seeing his future projects. Somebody give him some grant money so he can create a feature length movie. 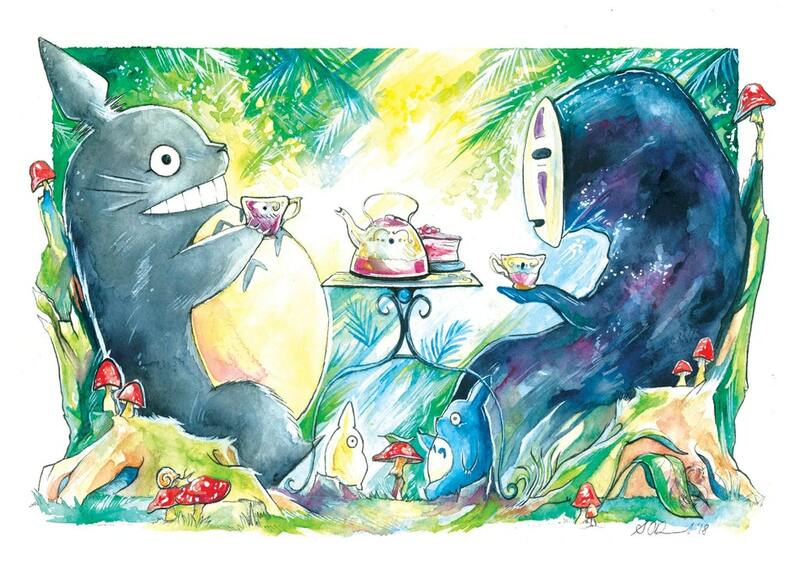 Artist and illustrator Sarah O'Donald has crafted this vibrant illustration of Totoro and No-Face sharing a tea time. I really enjoy this piece, the colors and details are superb and demonstrate the artist's skills at composition. You can visit Sarah O'Donald's Instagram page, which features dozens of illustrations that are absolutely brilliant. She has also made numerous appearances at art shows where her works are available for sale, featuring fantasy themes and characters from animation, comics and videogames. Her output is quite remarkable and I'm amazed at how much she has created. 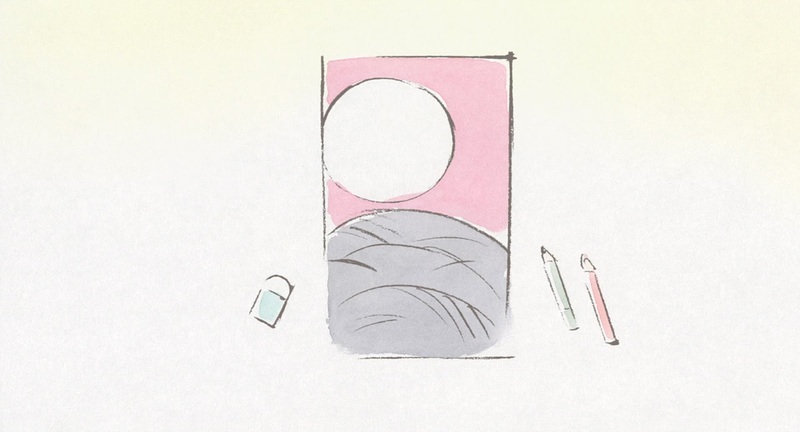 She must be spending every waking moment drawing and painting, which is, of course, the true goal of any artist. I'm very impressed and more than a little jealous. My artistic skills are nowhere near as refined and inspiring as these. Great work! Here's wishing for your success! 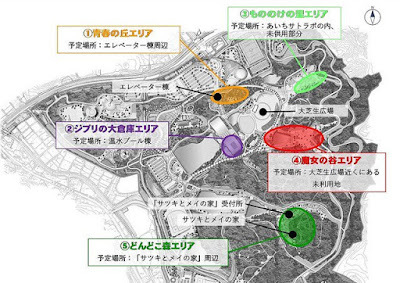 This week, Studio Ghibli formally unveiled their plans for an upcoming theme park in Japan. The designs were shown in a press event this week, including layouts and building illustrations. 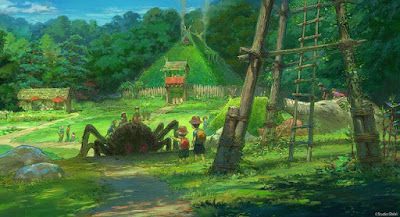 Visitors will enjoy walking through the worlds of Hayao Miyazaki's beloved animated movies including My Neighbor Totoro, Princess Mononoke, Spirited Away and Howl's Moving Castle. 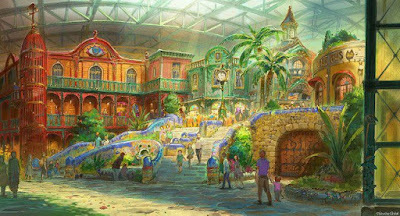 The theme park will be located near the city of Nagoya in Aichi Prefecture, and is expected to open in 2022. 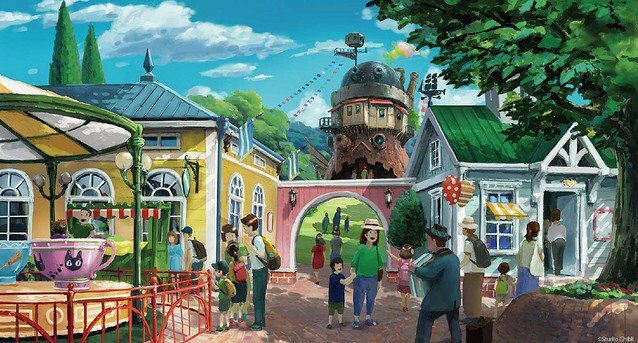 The park will include European building designs based on Miyazaki's films, as well as large sculptures of many famous characters that evoke Japan's mythic and cultural past. These illustrations are very fascinating and offer a glimpse into how the finished site will look. The park layout is largely forest, keeping as much of the natural environment in place as possible. Many of the locations also feel closer to an outdoor nature preserve than Disney World or Universal Studios. This is a very welcome development. 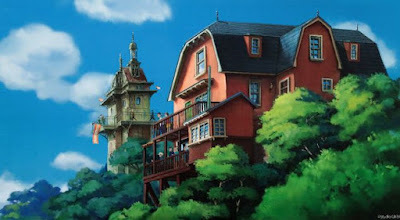 Personally, I must admit to some hesitation on the idea of a Studio Ghibli theme park. It doesn't seem right to turn these great family movies into a giant cathedral for consumptionism and materialism. I certainly hope this park doesn't include miles of parking lots like one finds in Orlando, or is packed with a thousand tacky merchandising shops. Fortunately, this design feels very low-key, almost as though Hayao Miyazaki created these attractions as a means to lure children outdoors where the real adventures await. It's better to climb trees and hills than stand in line for three hours to ride Splash Mountain. Of course, I say this as someone who completely loves Disney World. If I could spend my retirement years in the colonial district next to the Hall of Presidents, I'd do that in a heartbeat. 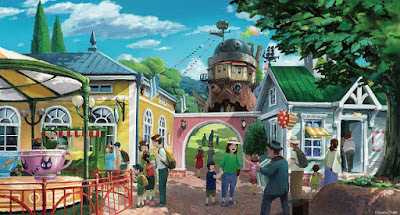 These are only the preliminary designs for the Ghibli Park, so expect some changes and additions in the coming months and years. 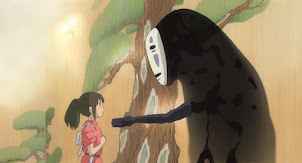 Its opening will come one or two years after Miyazaki's next (and presumably final, but with him, nobody can ever say) feature animated movie. This park will most likely be his final statement to the world, his farewell and inheritance to future generations. In that spirit, I hope it will be everything that Miyazaki-san wishes it to be. 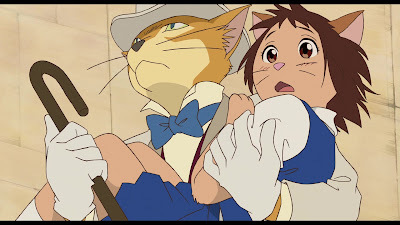 Continuing our series of "Ghibli Riffs," let's take a short look at the 2002 animated feature The Cat Returns (Neko no Ongaeshi), which was directed by Hiroyuki Morita and based on an idea by Hayao Miyazaki to feature a movie about the Baron character from Mimi wo Sumaseba. There are not many riffs in this movie, only a few, but they're very easy to spot. 1. The Baron's house, hidden away in a secret village in urban Tokyo, is actually the same house as used by Sherlock Holmes in Sherlock Hound. 2. 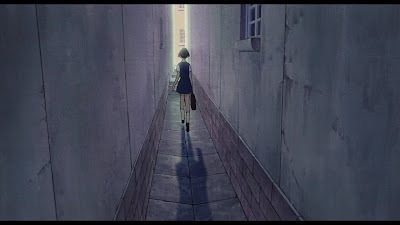 Haru chases the fat cat through an array of maze-like alleys, porches and rooftops in the city en route to The Baron. 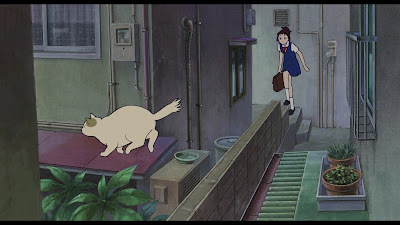 This sequence is an impressive urban spin on Mei's journey through the forest in My Neighbor Totoro (1988). 3. The image of the tunnel into another realm is a common Jungian archetype in fairy tales that symbolizes a journey into the unconscious. Hayao Miyazaki employed this image in Spirited Away and Ponyo. 4. I don't know for certain if this gag during the castle chase was intentionally riffing Animal Treasure Island (1971), but I was immediately reminded of a nearly identical scene from the Toei Doga classic. Hayao Miyazaki, as we all know, was a key animator and "idea man" for that movie. Again, I'm not sure if this fits the description of a "riff," but it looks close enough, so we'll add it to the total. 5. The entire chase sequence around a giant tower is another throwback to a Toei Doga classic, this time Puss in Boots (1969), which is basically one large Tom & Jerry comedy routine. This shot, in particular, is very close to a shot where the tower in Puss in Boots was knocked down. Hayao Miyazaki directly quoted a shot from that sequence in Nausicaa of the Valley of Wind. 6. Finally, this bit at the end made me groan a little when I saw it. It's a direct riff on the climax of Miyazaki's Nausicaa of the Valley of Wind, particularly the 1984 animated film (although the graphic novel also includes it). 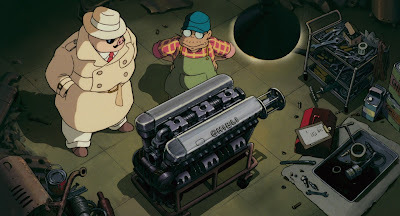 It's a cheap bit of deus ex machina that worked for Miyazaki because it was employed as a slight-of-hand trick, distracting you from the fact that none of the movie's major conflicts are ever resolved. In The Cat Returns, it just feels like a cheap gimmick. Oh, well. 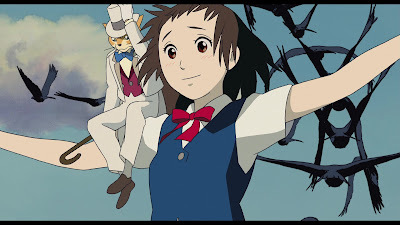 Overall, The Cat Returns has its share of charms, and it's nice to see the production team pay homage to a few Miyazaki classics along the way. Tomorrow is your last chance to see Studio Ghibli's 2002 feature film The Cat Returns in theaters as part of Studio Ghibli Fest 2018. Be sure to grab your tickets if you haven't already done so. The Japanese title for this movie, Neko no Ongaeshi, translates as "The Cat Returns the Favor." 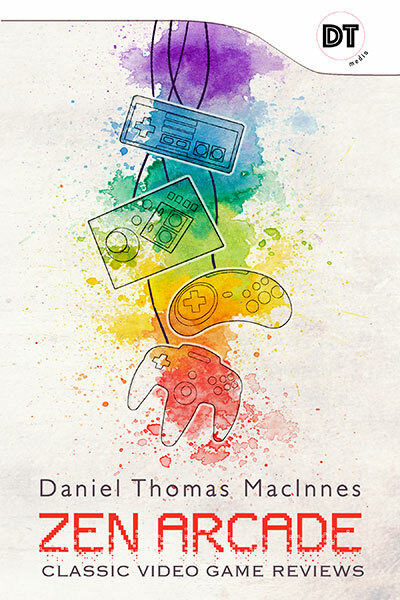 I always enjoyed that title, it has a nice literary flair and it flows nicely. Most US movie titles are pre-packaged and sanitized for your protection by teams of lawyers and marketing weasels, resulting in something bland and boring and far too short. But Americans have notoriously short attention spans, which probably explains...something. What were we talking about? Here are some photos from this movie. 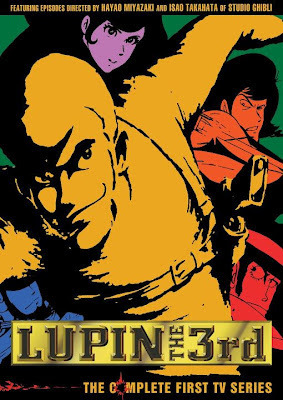 It's not one of my favorites, it feels very much like a made-for-TV or OVA production. I much preferred Ghiblies Episode 2, which played alongside The Cat Returns on a double bill during its Japanese theatrical release. That short film had all the experienced artists, while this main feature was staffed by the younger rookies. Joined together, they make a nice pair and a nice breather after the astonishing roller coaster ride that was Hayao Miyazaki's Spirited Away in 2001. Viewed on its own, however, this movie lacks something. It feels unfinished and needs either another script revision or another twenty minutes' running time. But, hey, this movie has cats. That has to count for something. 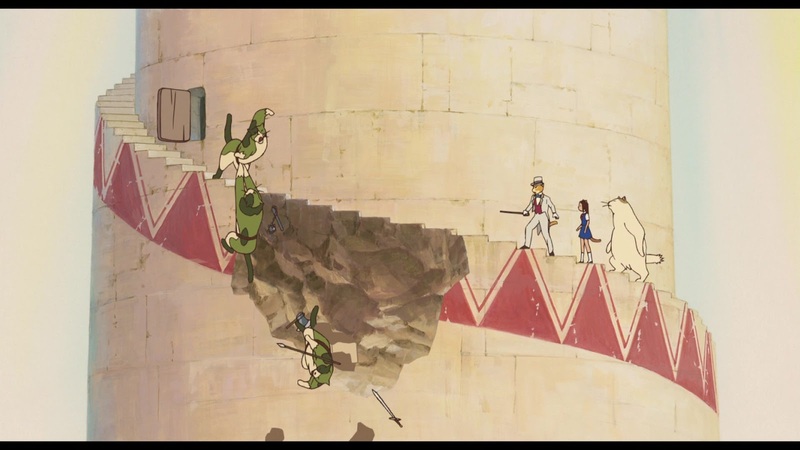 The ultimate test for any diehard Studio Ghibli fan is spotting all the "Ghibli Riffs," the shots and moments that directly quote earlier works. It is a staple of the Takahata-Miyazaki canon and is found in all of their films and television series. 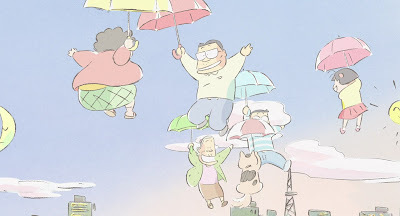 Today, we're taking a look at Takahata's 1999 masterwork My Neighbors the Yamadas. Watching our new Blu-Ray copy this weekend, I was struck by how few riffs appear in this movie. Most Ghibli movies contain well over a dozen riffs without breaking a sweat, while Yamada-kun only contains half that amount. 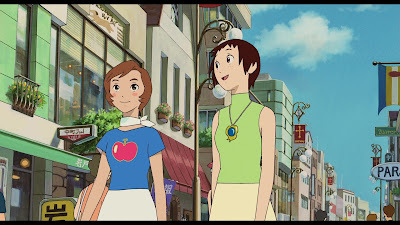 Instead, there are a number of nods to classic cinema, which is a Takahata trademark that goes back years (Heidi and Anne of Green Gables both quote Citizen Kane, Horus cites Alexander Nevski). 1. The opening scene portrays a number of images that directly quote Japan's hanafuda cards as the main characters are introduced. This very same thing appeared in Takahata's great film Jarinko Chie (1981). 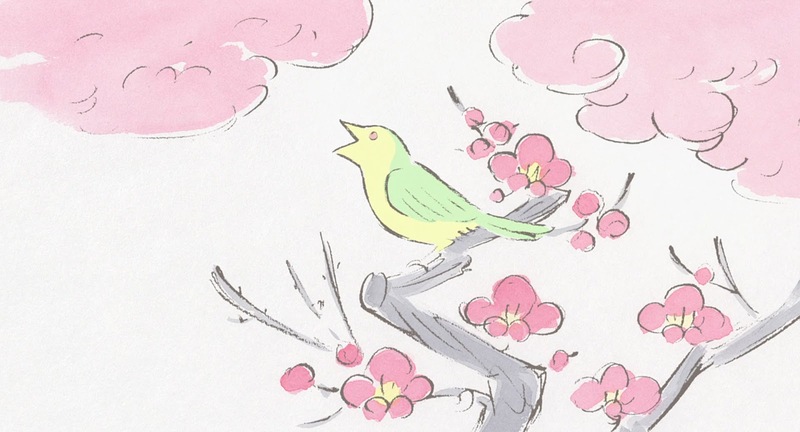 Also, is my memory playing tricks with me, or was the shot of the bird on the branches, another Hanafuda card illustration and seen in Jarinko Chie, also riffed in Pom Poko (1994)? Somebody should check that to be sure. 2. Two shots show a fascinating still-shot montage that reminds me very much of the introductory shots of the farming family in Omohide Poro Poro (1991). Both share the same fascinating blend of flat 2D images in a moving 3D landscape. I'm also reminded of View-Master, but that's probably just me. 3. 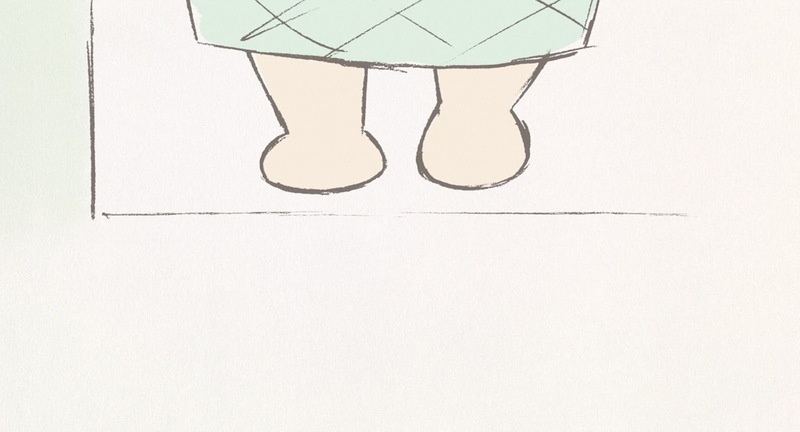 Every Paku-san fan will immediately spot this shot. It's quoting the opening to Heidi, Girl of the Alps (1974). Speaking of which, is everyone getting enjoying their Heidi marathons? 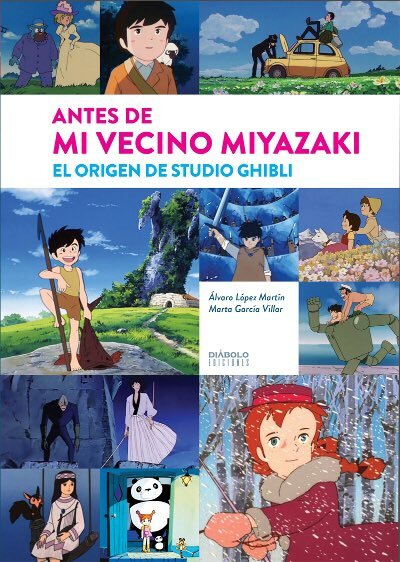 Don't forget that the Japanese (w/subtitles) and Espanol versions are available here on Ghibli Blog. 4. This shot is a really clever bit of comic timing and editing, showing a pack of hungry sharks that pop up to watch Jaws playing on the teevee set. It's a nice little nod to an iconic movie that may also touch upon the movie's running commentary on daily reality versus fantasy escapism that Takahata critiques. 5. 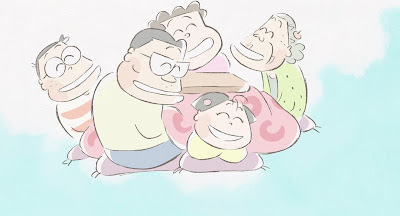 This short scene of the family signing a popular Japanese song was previously heard in Omohide Poro Poro, in the scene where the school children are having their "class parliament" session. Also, I kinda want one of those table-and-pillow sets for the living room. 6. This bit where Matsuko tricks her son into cooking ramen noodles includes a short cut of the mother walking down the screen, top to bottom, only feet shown. This shot originally appeared an episode of Heidi. Hayao Miyazaki also riffed that same shot in Princess Mononoke, in the shots of the Shishigami walking in darkness, his footsteps spawning plant life at an accelerated lifespan. 7. 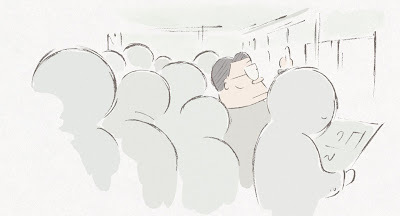 This scene where Takashi daydreams is another Takahata trademark, as the outside world dissolves and we enter into the inner worlds of the characters' minds. Anne of Green Gables (1979) and Gauche the Cellist (1982) are probably my favorite examples. 8. This funny scene of Takashi trying to take a family photo while everyone else is glued to the television is another great moment where Paku-san criticizes escapism at the expense of missing out on daily life. But did you also spot the movie that was playing? It looks exactly like a scene from Horus, Prince of the Sun. Nice. 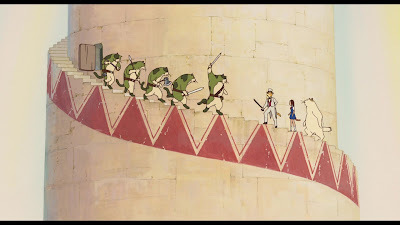 Oh, and Hayao Miyazaki also quoted that same shot in Ali Baba and the 40 Thieves (1971). 9. 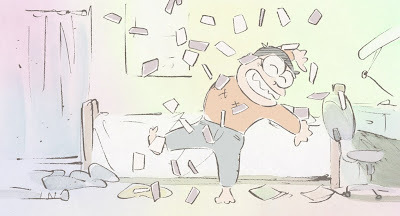 This great little comic moment of Noboru wrecking his room in a fit of joy is a wonderful nod to Charlie Chaplin's classic movie The Gold Rush. Be sure to grab that movie on Criterion Blu-Ray, which features the original 1925 release that is waaay better than the 1940s remix. 10. Yamada's most dramatic sequence is this extended story where Takashi is compelled to stand up against a pack of neighborhood bullies but is humiliated instead. Sitting alone on a park swing, he imagines himself as the caped superhero Kamen Rider, who bravely chases villains, fires a pistol and performs wild motorcycle stunts. The illusion of fantasy versus the harsh reality of real life is portrayed in stark, tragic terms. The shot of the father on the swing has always reminded me of Akira Kurosawa's masterful Ikiru. 11. 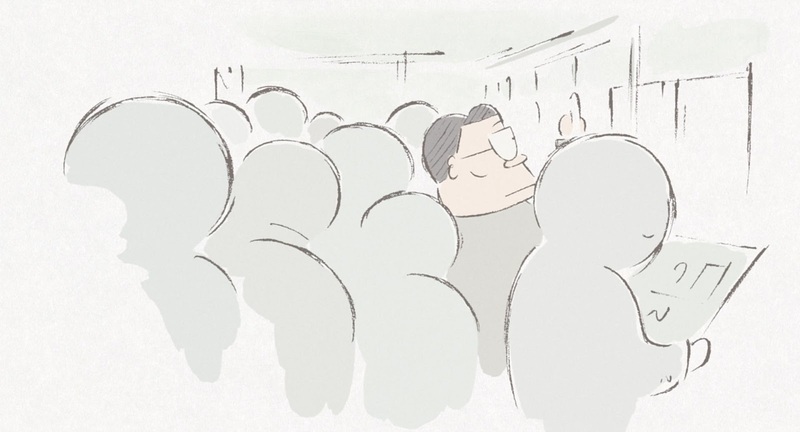 This poignant scene of Takashi on his way to work includes this compelling shot of him riding in a crowded train, lost in a sea of anonymous faces. Pom Poko also featured a nearly identical shot of one of the main tanuki characters, who is forced to survive by assimilating into the human world and its soul-crushing salaryman lifestyle. 12. This shot of a crowd moving at a diagonal angle reminds me of a nearly identical shot from Horus, Prince of the Sun. Hayao Miyazaki also riffed the same shot in Nausicaa of the Valley of Wind (1984) and Kiki's Delivery Service (1989). 13. 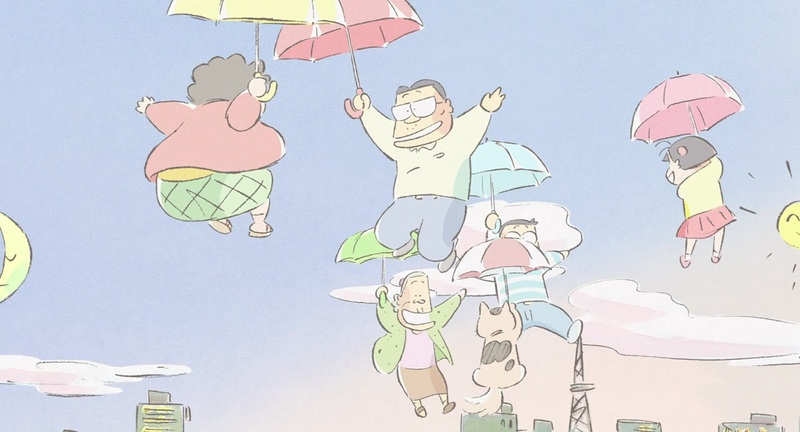 The magnificent song-and-dance finish with the Yamadas floating through the air on umbrellas is actually a direct quote from The Story of Perrine, the 1977 season of World Masterpiece Theater, specifically the opening sequence where cartoon characters float on dandelions through the air. 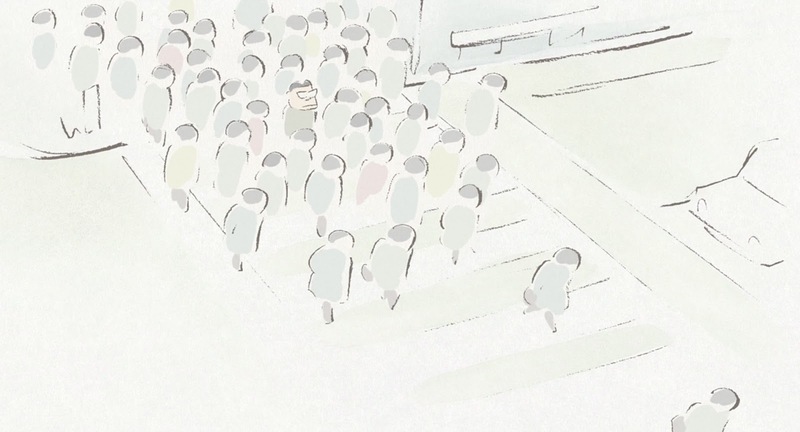 Takahata also riffed the same shot in Gauche the Cellist. 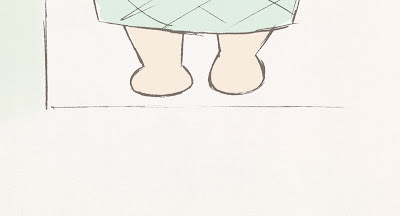 This has always fascinated me; Paku-san assisted the Perrine team on storyboards for one or more episodes, but only in a supporting fashion. Coda. 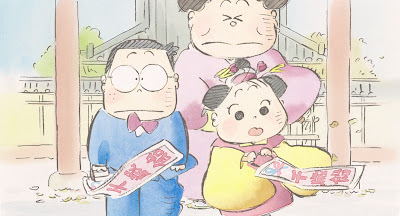 In addition to the Ghibli and cinema riffs, My Neighbors the Yamadas has a number of visual references to Japanese art and folklore, including the famous Hokusai painting, The Great Wave of Kanagawa, and various stories about where children come from. The Tale of the Bamboo Cutter is most fascinating, as it leads directly to The Tale of the Princess Kaguya (2013), Takahata's final masterpiece. There are also many musical cues to Japanese and Western classical and modern popular songs that always leaves me inspired and overwhelmed. One of the great joys of a Takahata movie is enjoying the wonderful music and being swept along in his world. When Studio Ghibli was founded, Toshio Suzuki proclaimed, "we want to create movies that celebrate the joys and sorrows of life." 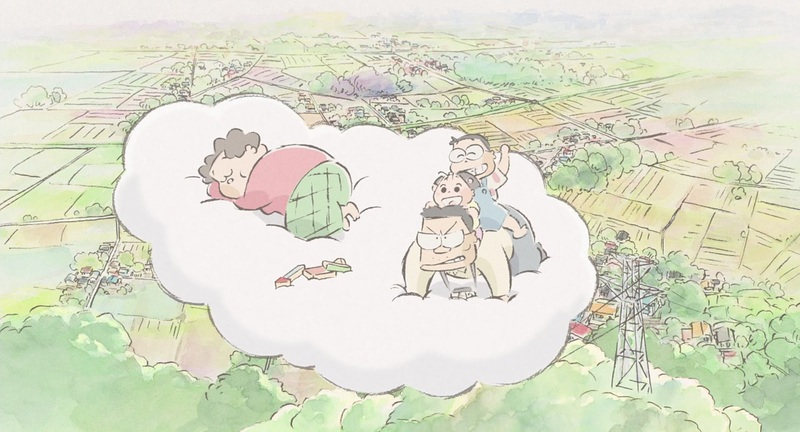 I can't think of a more perfect illustration of that mantra than My Neighbors the Yamadas. This movie is a miraculous celebration of art and life. I'm very sad to discover that Tom Sutpen's essential pop culture photo blog "If Charlie Parker Was a Gunslinger..." has closed down. I don't know exactly when this occurred, but the author's Twitter page was last updated on March 29. 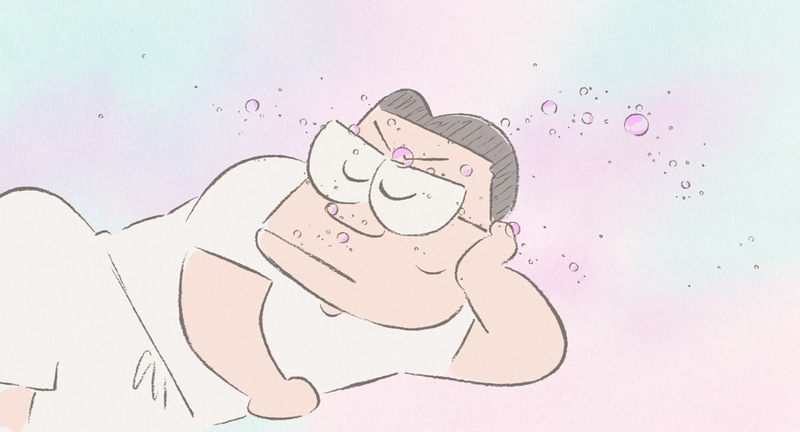 Every week, I am reminded that the golden age of movie and pop culture weblogs has now passed, as people have devolved from engaging with culture to merely consuming it. People once shared their love of movies and music and the arts, often sharing a spotlight to more obscure, left-of-the-dial subjects. It was always such a joy to discover these cultured, educated fans as they blossomed on the new online frontier of the 21st Century. Now it's nearly all gone extinct, and the few remaining holdouts are fighting over table scraps. It appears that most people today are perfectly fine with just clicking on images on social media sites. They're not really engaging or bonding or coming together in any meaningful way. They're just sitting like a lump on a log, clicking buttons in a techo-digital drugged-out haze, like animals in a cage who press a button to receive their sugar pellet. Here's another pellet. Here's another. This isn't interesting or even remotely fun, either as the rat in the cage or the one dispensing the sugar pellets. I tried keeping up with that on Ghibli Blog Twitter, and was modestly successful for a while, but it became so much work for so little payoff. One never makes friends or builds careers. Nothing grows or builds. You're either the sucker stuck inside the cage or the sucker stuck outside the cage. I remind myself that nothing lasts forever, and it can become fairly difficult to endlessly curate and manage a website when there's virtually no money involved. That's often the reason why many of us quit in the end. We love doing this, but we also love to eat and have clothes on our backs. The internet age has been a great opportunity for writers, but it has also created a race to the bottom that results in stupid, useless clickbait that makes you want to hit someone over the head with a Whiffle Bat. It also results in websites that pay next to nothing for freelance writers, including many who pay nothing for "internships" that will lead absolutely nowhere. I recently replied to an ad for writers, and the company offered $100 for 4,000-word essays. There are beggars on the streets of Chicago who earn more money than that. So, once again, I find myself saying So Long, Frank Lloyd Wright, and goodbye to another beloved pop website that made me feel more connected to the world and its boundless possibilities. Also, I would like to politely point out that I need writing jobs that actually pay the rent! The work has to be out there. You can't all still be living with your parents.